Information breeds innovation, and in health care new ideas have the potential to save lives. Over recent years, businesses in a wide variety of industries have found the advantages in making analytics a key part of their strategies for growth and efficiency. Health care organizations are also putting big-data tools into action, looking for more effective outcomes for patients. Analytics experts have an important role to play in health care, improving today’s crucial processes and paving the way for better treatment. Professionals who hold an online Master of Science in Analytics can find a rewarding career by turning their knowledge of collecting, organizing and interpreting quantitative information into a powerful force within hospitals and health systems. These experts have an opportunity to lead shifts that will have long-lasting, positive effects in patients’ lives. Analytics offer perspective on how fast-paced large-scale organizations function, spotlighting areas to streamline operations, reduce waste and begin new initiatives. This approach has a vital place in building health care systems that consistently deliver patient-centered care and are prepared to meet new challenges as they arise. When leaders turn their attention to big data, they discover fresh approaches to solving the complex problems that go along with providing medical services. Analytics insights offer the means to cut expenses while maintaining the highest level of care. Administrative costs are a major drain on medical organizations, as providers must rely on a complicated coding system to receive reimbursement from insurers. Experts in big data are able to identify patterns of error and inefficiency, allowing organizations to save time and money. Further, keeping an eye out for problems with payment, including instances of fraud and abuse, helps to cut down on financial losses. As momentum gathers for health care systems to standardize electronic health records, analytics will have an even greater impact. When general practitioners, specialists and nurses gain access to a broader collection of standardized data, the relevant insights can lead to significant boosts in patients’ well-being. By gathering a massive volume of information and sharing with one another, medical professionals take a holistic view of each individual’s needs and proactively coordinate care. Even as a standardized, data-driven approach provides a broader view on treatment and prevention, it also allows for more targeted services. With more robust tools for gathering and analyzing information remotely, health systems can expand their telemedicine offerings for underserved areas. In addition, making patients more aware of how their day-to-day activities affect their medical outcomes allows them to take a more active role in their own treatment. 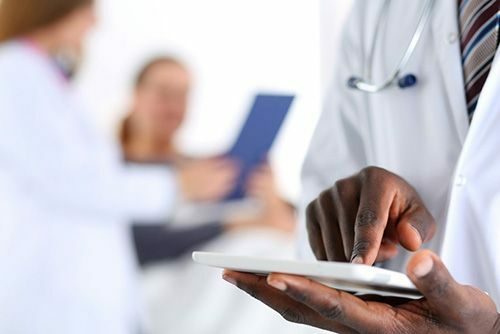 Forward-looking health care organizations are increasingly interested in recruiting people who are capable of setting up big-data infrastructure, conducting analytical tasks and putting their findings to work. These institutions need employees with advanced skills in manipulating quantitative information and conveying relevant findings to stakeholders. By drawing on a deep understanding of how analytics and medicine can work hand-in-hand, data experts lay the foundation for how the work of hospitals will be conducted for years to come. Some big-data roles in health care are very similar to the ones found in a wide range of businesses. Data architects are tasked with designing and managing the infrastructure for storing and organizing information so departments have the timely information they need. Analysts collect and process the data, cleaning away errors and modeling the relationships between particular variables to help the organization understand where it stands and to plan ahead. In addition to the jobs that are essential to any analytics operation, health systems are tying big data to the unique responsibilities involved in medicine. For instance, the role of care coordinator has become common in recent years. Professionals from a range of backgrounds maintain open lines of communication to ensure patients are being treated consistently. When these individuals are trained and equipped to draw on analytics insights, they can catch larger problems throughout the institution and take action. The uses of analytics in a medical context are rapidly shifting and expanding. Capturing the potential of big data requires experts with up-to-date strategic knowledge and skills in using the latest software. Graduates with a master’s in analytics have the abilities that are now in demand at hospitals and other health care organizations. Earning a master’s of science in analytics at Villanova School of Business gives students the chance to learn the cutting-edge techniques and tools they’ll need to build a career in applying big data to health systems. Visit the program page to find out more.